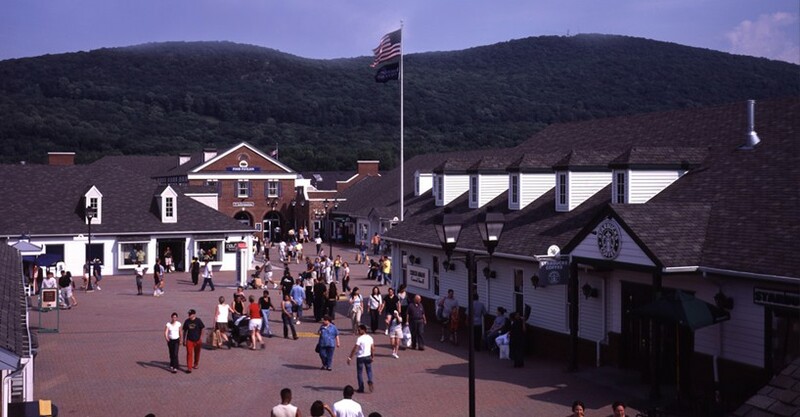 Shop incredible deals at Woodbury Common Premium Outlets, with round trip bus ride and exclusive coupon book. FLEX TICKET - Determine your own schedule. Choose from 8+ departure times and 13 return times throughout the day, with the option to plan as you go. SUPER SAVER TICKET - Take advantage of EXTRA savings just by traveling at a fixed time. Depart at 9:00 am and hop on the return bus at 4:45 pm. SIGHTS AND SHOPPING - Choose the NYC Sights and Shopping package to get the Woodbury Common day trip and a 48-hour double-decker sightseeing pass in Manhattan, Brooklyn and the Bronx! 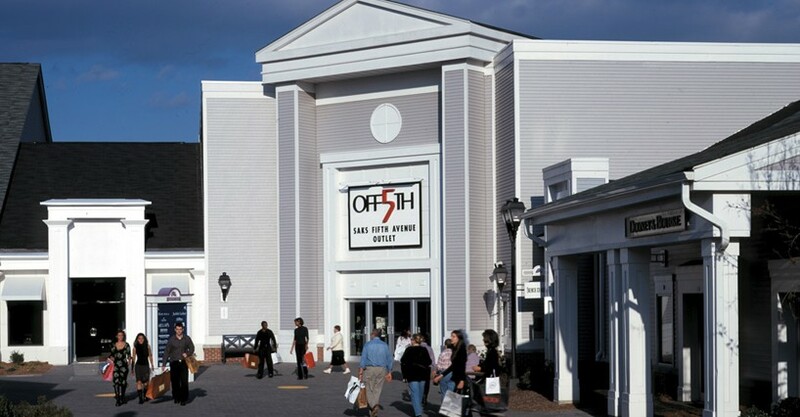 Experience the best of New York City’s upscale shopping – without the headache or high-end price tags of Manhattan – at Woodbury Common Premium Outlets, a prime shopping destination just a short bus ride from the City! The Woodbury Common Premium Outlets offer unbeatable prices at more than 220 stores. You’ll see top designers like Coach, Tory Burch, Dolce & Gabbana, Burberry, Prada and many more! Plus, get great deals (often over 50% off!) on your favorite apparel brands, including J. Crew, Ann Taylor, Gap Factory, The North Face and Banana Republic. No matter what you’re looking for (or even if you’re just browsing), you’ll find something you love at Woodbury Common. Premier children’s brands like OshKosh B’gosh, The Children’s Place Outlet and the Disney Store Outlet offer everything from quality kid’s clothes to fun toys. In the market for makeup? BareMinerals and Lancome have outlet shops at Woodbury Commons. How about something to inspire your inner chef? Stop in Le Creuset and Corningware Corelle. From electronics and luggage to jewelry and home decór, there’s truly something for everyone! When you’ve worked up an appetite from bargain hunting, stop for nourishment at one of the 15 dining establishments right inside Woodbury Common. Sit down for lunch at Applebee’s or refuel with a latte at Starbucks. Then treat yourself to some Lindt Chocolate or tart frozen yogurt from Pinkberry! 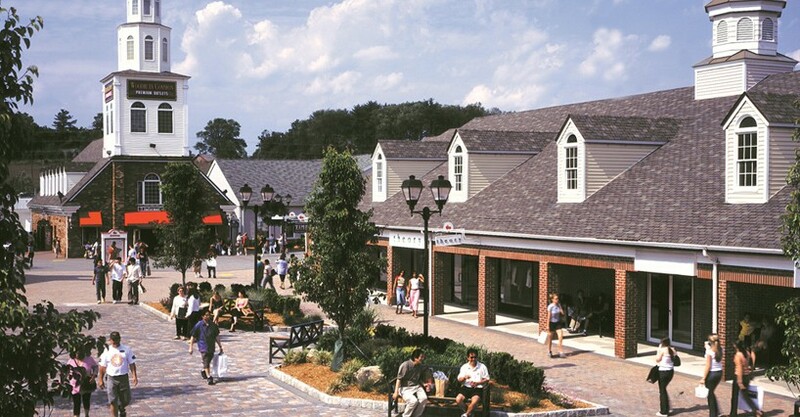 Book your Woodbury Common Premium Outlets Day Trip today for a one-of-a-kind shopping experience and exceptional deals! If you want to combine shopping with the best sightseeing in the Big Apple, select the Sights and Shopping option to combine your Woodbury Common day trip (including all of the above perks) with a hop-on hop-off sightseeing tour of Manhattan, Brooklyn and the Bronx. You’ll have unlimited chances to hop off the bus as you pass through Times Square, Uptown, East Village and Lower Manhattan, seeing everything from the Empire State Building and Rockefeller Center to the Statue of Liberty and Central Park. You’ll have 48 hours to see and do it all! Super Saver tour departs from midtown daily at 9:00am and leaves from Woodbury Common back to Manhattan at 4:45pm - please follow instructions on your voucher. Open 10am - 9pm, daily. Hours are subject to change without notice and may follow a holiday schedule. For detailed hours and closings, visit www.premiumoutlets.com/woodburycommon. * For Flex Tickets only, to avoid longer lines at the ticket counters we suggest you redeem your tickets, in the afternoon, a day or two prior to using them. Lines are usually longer in the mornings. If redeeming for the day of your trip to Woodbury Common Premium Outlets please arrive at least one hour prior to your desired departure time. After your online purchase you will be redirected to a page with your voucher. An order confirmation, with a link to your online voucher, will also be e-mailed to you within two hours of completing your purchase. Redeem at any of the visitor center locations listed on the voucher. At the visitor center, simply show the voucher on your mobile phone or bring a printed copy. All ticket options include round trip transportation from Manhattan to Woodbury Common, and a free coupon book. What is the Flex ticket? The Flex ticket allows you to determine your own schedule. Choose from 8+ departure times and 13 return times throughout the day, with the option to plan as you go. What is the Super Saver ticket? The Super Saver ticket offers you the chance to take advantage of EXTRA savings just by traveling on a pre-determined schedule. Depart at 9:00 am from midtown Manhattan and hop on the return bus from Woodbury Common at 4:45 pm. You’ll save $12 per person when compared to the regular price of a Flex ticket. After you complete your online purchase, you will be redirected to a page with your voucher. An order confirmation including a link to your online voucher will also be emailed to you within two hours of completing your purchase. You will redeem this voucher at any of the visitor center locations listed on the voucher. You can show your voucher on your mobile device or bring a printed copy. Please bring valid identification. Once you’ve redeemed your voucher, you can use your ticket to board the bus to Woodbury Common. No, you must redeem your voucher at any of the Visitor Center locations to receive your bus ticket. How far is Woodbury Common from Manhattan? Woodbury Common is approximately 1 hour driving from Manhattan. What is the bus departure schedule from Manhattan? If you choose the Flex Ticket option, there are 8 daily departure times from Port Authority at 7:15am, 8:30am, 9:30am, 10:00am, 11:30am, 12:45am, 2:45pm, 7:15pm. Super Saver ticket holders must depart on the 9:00am bus. Monday - Friday, buses depart from 777 8th Avenue (between 47th and 48th Streets) and Saturday - Sunday from Port Authority Bus Terminal. Please follow instructions on your voucher. What are the return times from Woodbury Common? 9:06am, 12:06pm, 12:45pm, 1:30pm, 2:02pm. 3:36pm, 4:10pm, 4:45pm, 5:21pm, 5:45pm, 6:15pm, 6:58pm, 9:26pm. Please note: All daily return trips return to Port Authority. Super Saver ticket holders must return on the 4:45pm bus.